Guests can enjoy the on-site bar.Some units have a sitting area for your convenience. All rooms are fitted with a shared bathroom. Extras include slippers, free toiletries and a hairdryer.You will find a shared kitchen at the property. Loved the place, perfect for the park and town. Great welcome and excellent service, I have to say we couldn’t fault it. I absolutely enjoyed my stay. 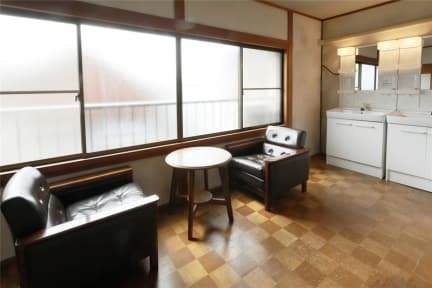 It’s a traditional Japanese home that’s been modified, so it’s great if you want to experience something traditional but with all the modern conveniences. It also comes with private rooms, so if you’re a light sleeper, you might want to consider those if you’re not too tight on cash. The staff here are always super helpful and friendly, my sister was sick on the second day and they even asked if she’s okay when they noticed she hadn’t gone out. The best place I stayed in Nara. What I especially liked was the athmosphere. 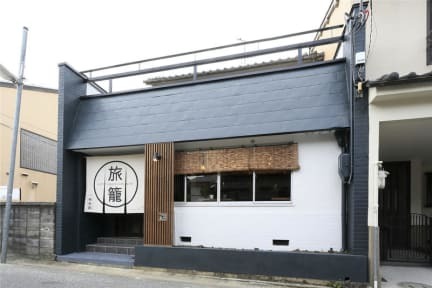 Due to the fact that you cannot only prepare your own food but there is also a very nice restaurant part of the hostel, there is always life and you can easily meet people who live in Nara and who come along for a drink (saké) or a soup. Also the location is superb!!! This was a wonderful place to stay, cozy, friendly & helpful staff, delicious food, places to visit close by, bathrooms very nice, just a bit cold because it’s winter. I would highly recommend. Thank you! Good place for a short stay. The lobby looks like a cute cafe, they have a beautiful garden right next to the kitchen, and a backyard where you can hang your clothes to dry ofter you wash them. Location is great if you're going to Nara Park, though a bit of a walk from the nearest station. Staff were friendly, atmosphere was cozy. Really enjoyed our stay here!! The staff were all really friendly and helpful. The location is perfect, although a bit of a walk from Nara station. A shame that when we were there, there weren't many others our age so there wasn't really any atmosphere but I think that was just bad luck! A cozy old town house turned into a hostel. My girlfriends and I visited in february and it was extremly cold. The hostel provided hot waterbottels but that only heated up your bed. You also had to go outside to use the bathroom and extra toilet. The dorm was also very small and the beds where squeezed into the room. Probably nicer to stay here during the hotter months.